Village with 1,500 inhabitants 9 km south of Marcali. The village destroyed in the Turkish era was built on its current place, around Klastrom hill, between 1703 and 1711. The church and Fransiscan monastery built in Baroque style by the Hunyady family in the centre of the village (1750-1756), overlooks the vicinity. The altarpieces were painted by István Dorfmeister. The former boys' school, currently used as Village House with exhibitions of ethnographic and local traditions, is built opposite to the church, in the same era. 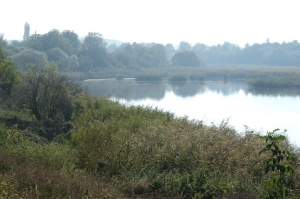 Visitors may get into the territory of Balatonmellék Nature Conservation Area lying on the fields of the village by a narrow-gauge railway constructed in 1925. It takes 45 minutes to get from the MÁV railway station to Felsőkak (destinations of the narrow-gauge railway); the distance is 8,820 m. The proportion of forests is higher than the country average. 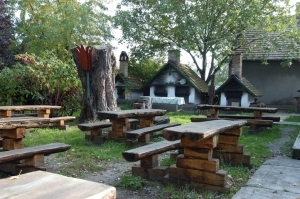 Peaceful, silent environment, clean country air, undisturbed natural values, the unique sights of the Nature Conservation Area of Boronka region, the hospitality of innkeepers, high-standard, qualified private rooms and houses at reasonable prices, possibilities for cycling, fishing and hiking, forest school and narrow-gauge railway await visitors.